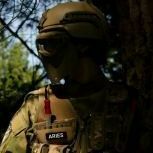 Game Day 16th of July - DAC Events - Airsoft Sports New Zealand inc.
Hey guys! Next club day is on the 16th of July. Gaming will start at 10am (as voted at our recent AGM). So please get to CZ around 9.30 so you're all ready to play @ 10am. All New guns will be chronoed. All Other guns will be subjected to random chronoing over time. Hot weapons will not be allowed on the field. Field fee of $10, Paid to Field Owner Brian. Club guns available. Hire fee of $10 for club gun and 450rds of ammo for the day. Additional ammo is $5 for a extra 450rds. Actually, don't worry about a club gun.